Day 61 of 365, a photo by Gordon McKinlay on Flickr. 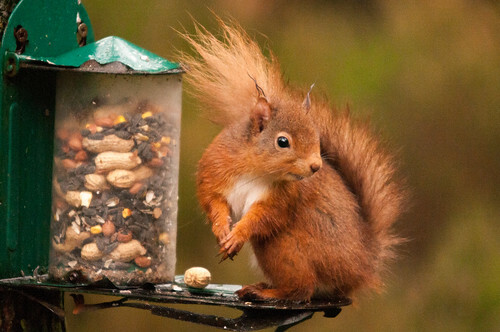 There aren’t many places where red squirrels are still doing OK. They are threatened to existence by the grey incomer. Center Parcs at Whinfell Forest is one place where they are still doing well. It has been lovely sitting quietly watching them this weekend. This entry was posted in Professional on 3 March, 2014 by Gordon McKinlay.